Photographers, working on the red carpet, usually concentrate their attention on the girls and their dresses. But there are a few Hollywood fashionistas who are able to attract the attention of the public. Will Smith chooses interesting and stylish clothes. In the promo tour of “Men in black 3” he often appears in light gray suits, which were complemented with dark satin ties and shirts in pale colors. Not infrequently he makes the choice in favor of vests, refusing rfom jackets. 43-year-old Will is in the great shape, so he doesn’t shy away from informal outfits – for example, on fotocollages sometimes he appears in jeans and bright t-shirts. On the red carpet Will is always in a great mood, he jokes around a lot, gaining the attention of reporters. The main advantage of an actor is the ability to combine jackets, trousers and shirts of different shades or colors. Robert Downey Jr. is another celebrity who doesn’t afraid of experiments. The actor wears bright shoes, sneakers, loafers or massive boots (like those that produces Timberland) under a strict suit. Recently the actor often appears in glasses with pink lenses, the frame decorated with leopard print, complementing the appearance of a bow tie. 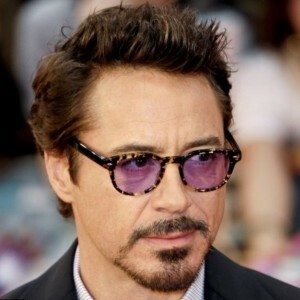 Downey brought to perfection his fashionable flair during the promotional tours of “Sherlock Holmes”. Two British partner in the film Jude Law and Director Guy Ritchie were next to the American actor. Guys know a lot about fashion. Richie loves tweed suits grey and brown hues, and among headwear he prefers a cap. Jude Law appeared in black trousers and white shirt, but wearing suspenders were instead of a jacket at one of the Premier. In late 2011 several reputable American media called Ryan Gosling the most stylish celebrity. The hour of the actor-mod came in Cannes when he presented the film “Drive”. Ryan appeared on Photocall in a blue shirt and white pants Salvatore Ferragamo. The ensemble in the spirit of old Hollywood was complemented by the black-and-white oxfords. On the Red Carpet Golling shone in trousers and tuxedos of blue and burgundy colors. 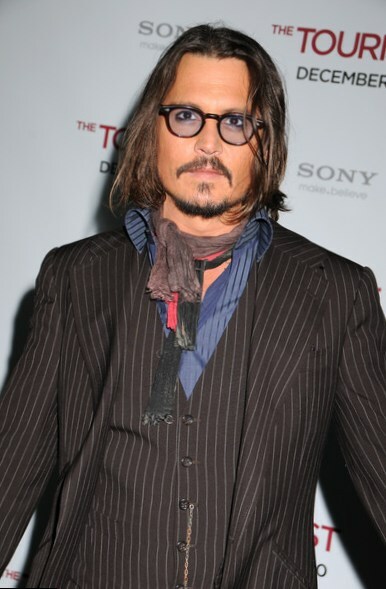 His style is a dandyish costumes that emphasize excellent physique, thus giving the appearance of some negligence. The actor often refuses from ties and leaves his hair in slight disarray. 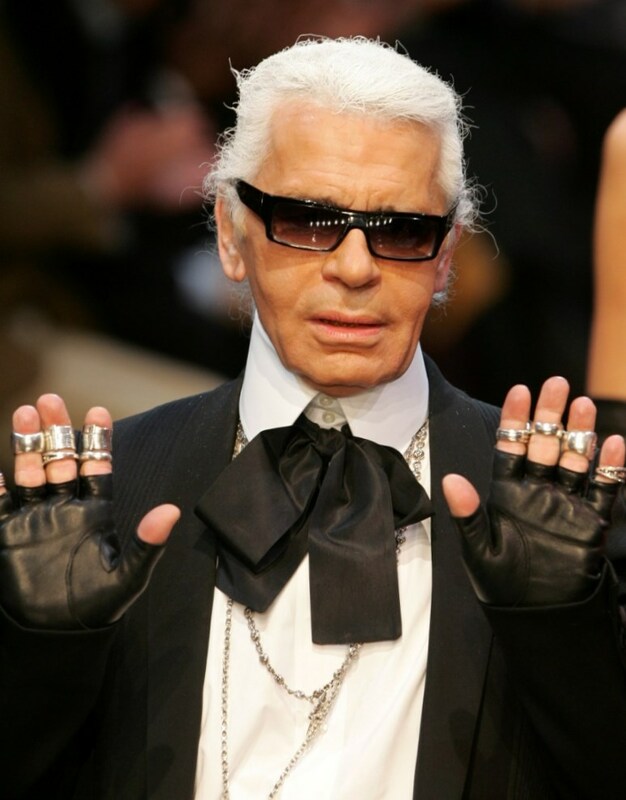 Karl Lagerfeld, a famous designer, who, in addition, is working for the brand Christian Dior. The German found his style with age: the gray hair gathered in a neat ponytail, formal suit on the figure, sunglasses, fingerless gloves. 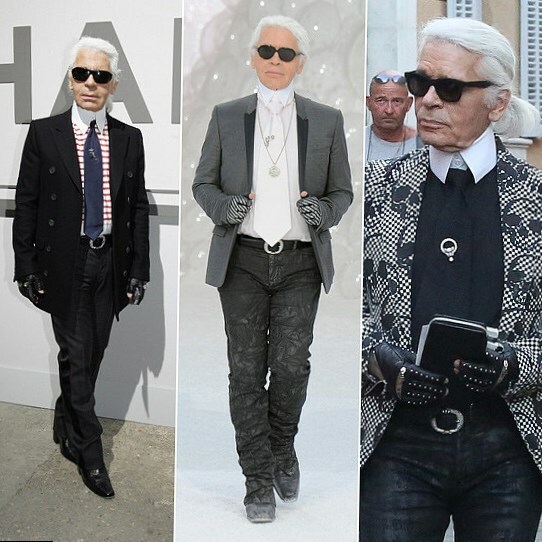 Lagerfeld’s look is better to see once than to try to describe. The corporate identity designer has become his trademark. Finding “his” costume,he does not cease to evolve. He can wear frill instead of a tie, and if the usual accessory remains, it is often unexpected colors or decorated with a massive brooch, inlaid with precious stones. The list would not be complete without Johnny Depp. The most interesting is that the actor is putting nothing outstanding on the premiere. He, of course, appeared with a cigarette on the Red Carpet during the affair with Kate Moss, but that hardly has to do with fashion. And still they pay attention to Depp. The actor knows how to look stylish. He complements his outfits with scarves, the famous round glasses and hats.